Virtually everyone will experience a toothache at some point. Knowing when to see a dentist is essential, as a toothache can be a sign of a severe dental issue. After 23 years in practice, Dr. Greg Larsen has the knowledge and expertise to quickly get to the bottom of your tooth pain and create a customized treatment plan. Don’t let a toothache change your routine: Call Dr. Larsen’s Sandy, Utah office to schedule an appointment. Everyone experiences tooth pain differently. For some, the discomfort is sharp and constant, but others only notice sensitivity when biting down on the tooth. You might even have a headache or fever with a toothache, or you may notice an unpleasant-tasting discharge from a tooth. How do I know when to see a dentist about a toothache? It’s important to seek dental care for a toothache that is severe, or that lasts longer than a day or two. It could be a sign of an infection or advanced decay that requires immediate attention. An infection can lead to a painful abscess without treatment, or even spread to other areas of your face, head, and bloodstream. If your toothache is due to a fractured tooth, Dr. Larsen may be able to save the tooth with a crown. If a filling has come loose or broken, he can repair the damage and address and further decay in that tooth. If you experience a headache, fever, or an earache with your tooth pain, you may have an infected tooth. A root canal can help by removing the infected tissue, and in many cases, that tooth is salvageable. 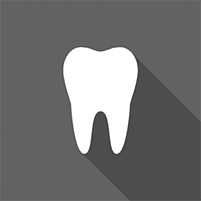 What are some treatment options for a toothache? The first step in treating a toothache is determining the cause. Dr. Larsen conducts a thorough dental examination to get to the bottom of your tooth pain. The information gleaned from the exam helps him create a customized treatment plan. When you come in with a toothache, Dr. Larsen explains the full scope of your treatment options. Together, you’ll determine the best course of action. If you experience tooth pain, reach out to Dr. Larsen’s office to schedule an appointment.